Launched in October 2013, My Brush Betty’s Makeup Brush Blog is entirely devoted to the subject of makeup brushes. At My Brush Betty, #welovemakeupbrushes: The art, science, manufacturing, marketing and, of course, care and cleaning. Whether they are made in Germany, where the modern makeup brush reportedly originated, or Japan, which makes superior high-end brushes courtesy of its calligraphy culture, or somewhere else in Asia – yes, most brushes come from China – makeup brushes are usually assembled by hand, often by highly skilled employees who gather, shape and hand-tie the hair together. Making brushes is truly a handicraft. The materials for brushes are many and constantly in flux, too, with cosmetics companies and brush brands swapping out handles, handle treatments, ferrules and even brush hair colors with the season’s styles. And brush making isn’t just an art. It’s also a science, with research and development invested in creating synthetic fibers that offer superior makeup application characteristics, as well as other properties, such as bacteria resistance. 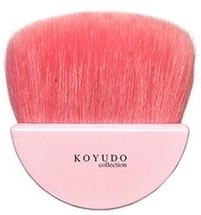 What’s more, the industry has been experimenting with a range of new brush hair colors, mixed natural-synthetic combinations and creative new handle and ferrule designs that don’t even resemble makeup brushes of the past. 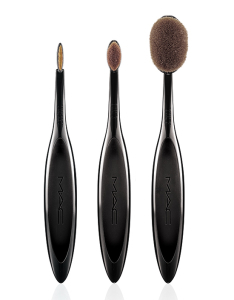 So, yes, we are a blog that is entirely about makeup brushes. At My Brush Betty’s makeup brush blog #welovemakeupbrushes!